When you’re living in an apartment, finding ways to create more space is often times the key to organization and maintaining your sanity. Individuals who live in a rental unit often struggle to find enough space for their decorations, clothes, cooking utensils, and other household items, especially if they are downsizing from a larger house or apartment. Thankfully, furniture manufacturers are starting to understand the storage dilemma that so many renters face, and have begun to manufacture multi-purpose furniture to increase storage. Today, we’ll give you a few suggestions on a few furniture pieces every apartment dweller needs to keep their unit clean, organized, and spacious. Storage ottomans are perfect for apartment decorating and organization because they double as a storage compartment and a piece of furniture. These multi-purpose furniture pieces can be used to store extra pillows and linens, or placed in a child’s room to keep their toys in one place. Available in most home goods stores and online, you can purchase an affordable ottoman for $15 and up. With more college students and adults turning to apartment life, the idea of “transforming tables” has become extremely popular. Sold as a solution to help renters with clutter-free apartment decorating, transforming tables are designed to fill multiple needs, and can be folded and transformed into different household items such as a desk, chair, bike rack or bed, depending on the make and model. To learn more about transforming tables, take a look at this one sold by Resource Furniture. Similar to standard shelves, flap shelving is easily installed and can provide an affordable solution to individuals who simply need a place to keep knick-knacks and other sentimental possessions. Where flap shelves differ from traditional shelving is the fact that they can be folded and unfolded as needed, creating more space in the room. Take a look at this flap shelf by Resource Furniture to get a better idea of how these unique storage utilities can be used to add space to your apartment. Apartment dwellers who live in large cities such as New York or San Francisco often choose to ride their bike rather than drive from one place to another. Unfortunately, it can be extremely difficult to find a comfortable space in any apartment to keep a bike; as a result, many individuals find themselves transforming their hearth or back patio into a storage space. Thanks to bike shelves, college students and apartment dwellers can hang their bike on any piece of wall. 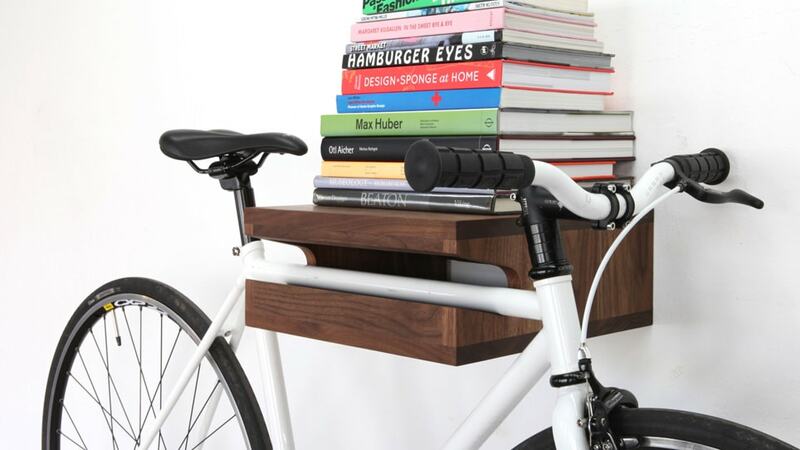 Designed to promote organization, bike shelves are now becoming extremely popular with college students and life-long apartment dwellers around the country. When you live in an apartment, finding enough room for all of your most prized possessions (without cluttering your space) can be quite difficult. Thanks to the furniture visionaries who understand this dilemma, apartment dwellers now have a wealth of space-saving, multi-purpose furniture and shelving such as storage ottomans, bike shelves, and flap shelving to help them keep their small living space organized and free of clutter. 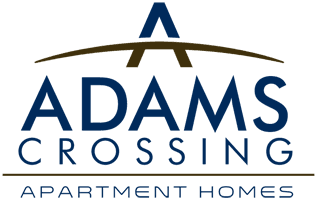 If you’re looking for an affordable apartment in Waldorf, Maryland, reach out to our team at Adams Crossing. We are the premier affordable luxury apartments located conveniently in Charles County, MD. As one of the newest apartment complexes in Waldorf, our units are best in class. Schedule a tour today!